We understand education in early childhood to mean the provision of optimum framework conditions, with reliable relationships in stimulating and experienced surroundings, which offer the children the opportunity to follow their own interests from the very beginning and to gather important learning experience. development needs and represents their interests. Learning experience results from interaction with adults, playing with other children and individual occupation with materials, books, films, computers, etc. In order to satisfy the infant’s thirst for knowledge and enable the unfolding of existing learning potential, easy-kid-care provides the children with a varied range of educationally valuable opportunities to play, learn and exercise. By these means, the children are recognised and supported in their joy of the new and unknown, in experiencing, examining and experimenting, and also in their capabilities for learning and enthusiasm. They should be able to expand their gross and fine motor skills and be encouraged in their independence. of language acquisition and can learn a number of languages simultaneously without effort, easy-kid-care has developed an educational programme to encourage early learning and bilingualism. 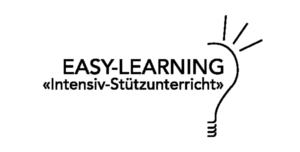 The easy early steps curriculum© is an educational programme in which early learning takes place on the one hand in the areas of self-confidence, general competence and social competence, and on the other hand with the integration of English-language learning according to the immersion principle. Immersion means creating a learning situation in which the subject to be learned, e.g. English as a second language, is embedded in the learner’s everyday activities. While playing, children easily absorb the sound and the grammatical structure. Their natural ability to imitate is an excellent prerequisite for the effortless learning of a language. By playing, singing songs and listening to stories, listening comprehension and an active vocabulary are formed. Targeted learning materials from England such as activity storybooks, favourite nursery songs and rhymes all encourage the enjoyment of the second language. Our care structures enable the child to spend many hours with trusted children and reference people. This intensive contact means that the child learns to build and reinforce interpersonal relationships. At the same time the child has the opportunity to develop its own personality, freely and independently. The child learns to interact with other children, to play together, to jump around, to sing, to make things, to share and also to settle conflicts peacefully. We consider each child to be an independent personality. The children can feel safe and well with us.